Home Articles News Professional bodies Is my cosmetic ingredient GMO-based? Sometimes, the GMO status of a cosmetic ingredient must be known to meet the requirements of certain organic standards or answer consumers’ questions, and also to know what can be written on a product label. But it all can get a little complex. So the EFfCI has just published a Position paper to help companies in this regard. 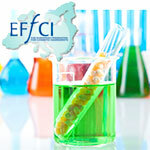 The document, entitled ‘Information document on genetic modification in relation to cosmetic ingredients’, has just been published on the website of the European Federation for Cosmetic Ingredients (EFfCI). It first puts the GMO issue in the context of cosmetics, and reminds ' The broad majority of genetically modified crops is used for feed and food applications, where detailed regulations on labelling and traceability have been elaborated. Although similar regulations for cosmetics are currently not in place, consumers often demand detailed information on the GMO status of the cosmetic products they purchase, because the technology itself has been and is still controversial in public and political discussions. Both safety and ethical concerns have been raised. […] These aspects may limit consumer acceptance to GMO products, i.e. consumers may not want to consume goods which contain GMOs or are anyhow produced via genetic modification. In this context, certain organizations issuing 'organic' or 'natural' certificates for cosmetic raw materials demand detailed information on the GMO status of the cosmetic ingredient'. When using the term 'GMO-free', it should be kept in mind that the term is not legally defined, and thus used with different meanings.